At Kansas State University, learning business in the College of Business Administration means not only working in the classroom, but also visiting companies across the world. 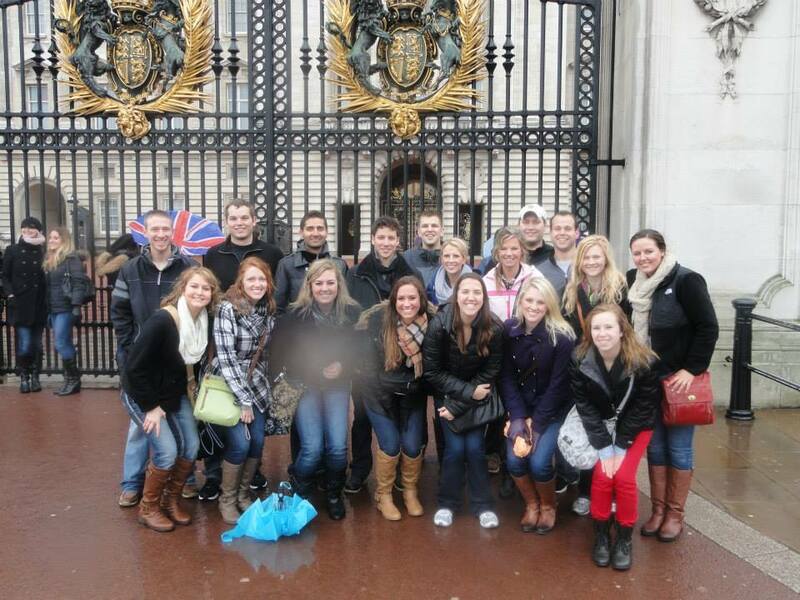 Twenty-two students in the spring semester’s International Business class got a taste of two European cultures during their spring break faculty-led trip to the United Kingdom and Germany. The nine-day trip focused on marketing-mix strategies. Taught by Swinder Janda, professor of marketing and the Robert M. Edgerley chair in global business, the course creates awareness of the contemporary international environment and how it affects the United States, in addition to providing students with an experiential learning opportunity pertaining to global marketing. In London, the group visited the Chelsea Football Club, a premier league team. During the visit, students were provided a perspective on the business of football and also participated in a tour of the facilities. While in London, the group also visited the Museum of Brands and Fuller’s Brewing Company. During the second half of the trip, the group visited Munich, Germany. Dr. Janda and his students participated in several activities associated with BMW Corporation. They were first guided through all the major steps in the manufacturing process and received an overview of the evolution of the BMW brand. Thereafter, they toured the BMW museum and the BMW Welt facility. Despite having a very full agenda, students also attended cultural events organized by Dr. Janda but also had ample time for sightseeing in each city. This provided them with opportunities to interact with locals and gain a deeper appreciation for each culture. “It is the experiential aspect of the study abroad that makes it such a remarkable learning opportunity for the student and it is essential for a meaningful study abroad to include free time for exploration and reflection in addition to structured sessions and meetings,” says Dr. Janda for whom this was the ninth spring break study abroad trip with students. During the trip, students documented their experiences in journals. After returning from the trip in late March, each student completed a research paper relating observations from the field trips to the lecture materials and readings covered throughout the course.